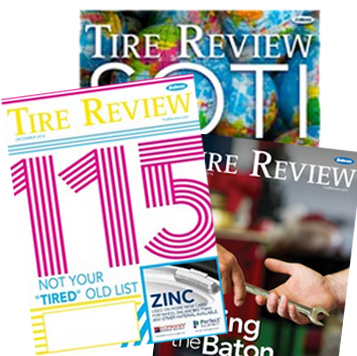 RTX Wheels Introduces Full Line of Alloy Wheels to U.S.
Icahn Automotive Group LLC announced the launch of Pep Boys Fleet, a program that puts a renewed focus on automotive service designed to better meet the needs of today’s growing fleets. With a new tagline, “Driving your business forward,” Pep Boys Fleet will continue to serve as a preferred partner to large, national fleet management companies and with this move, will better be able to meet the needs many small fleets and last mile delivery services, Icahn Automotive said. Pep Boys Fleet provides inspections and warranty-backed repairs, both routine and more complex, according to Icahn Automotive. The service, which includes preventative maintenance such as tires, brakes, batteries and suspension, is done through the Pep Boys national network, which consists of more than 9,000 service bays in more than 1,000 company-owned locations. Pep Boys Mobile Crew, which launched in 2018, will now expand to include smaller-format fleet vans that are equipped with all the necessary supplies and staffed by trained technicians to complete common fleet maintenance and repair needs on-location. Today 20%of vehicles are sold to fleets, a number that’s expected to shift as high as 40% over the next 20 years as ride-sharing, ride-hailing and online retail continues to grow, the company says. 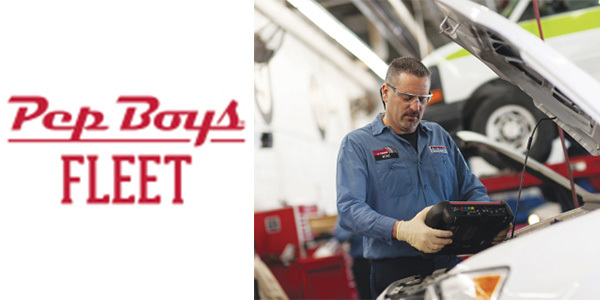 Changes have been made to the service format in Pep Boys locations to establish dedicated Pep Boys Fleet bays reserved exclusively to expedite fleet jobs, and locations are also being updated to include meeting rooms with amenities where fleet customers can conduct business while their vehicle is undergoing maintenance. Pep Boys Fleet provides customers with national, regional, local and store-level support where customers receive a single point-of-contact that gets to know them and their business. The Pep Boys Fleet Team representative develops a customized service program and pricing plan and manages a customer’s fleet business. Pep Boys Fleet also provides customers with a universal fleet services credit card that allows fleet managers to track and pay for vehicle repairs and preventive service and earn rewards. All fleet customers can also take advantage of online invoicing, a payment system and a 24/7 towing program to any Pep Boys location. Pep Boys Fleet is also an official tire, brake and preventative maintenance supplier of Amazon’s Delivery Service Partners (DSP), which provides negotiated pricing for Amazon DSP maintenance, along with a pro rewards program, and fleet credit which owners can use to cover unforeseen expenses. Later this year, Pep Boys plans to launch a management technology solution to help small and mid-size businesses better manage their fleet maintenance. The launch of Pep Boys Fleet is a continuation of Icahn Automotive’s investments in its service business and follows the announcement of a comprehensive program to recruit and train automotive service technicians to meet the demands of the industry, which are being driven largely by the fleet customer. In addition to launching new service formats such as Mobile Crew, the company continues to expand its footprint in markets by acquiring both franchised and owned service centers and remodeling existing Pep Boys locations.